The holidays are all about outdoing one another. 1. A sweater that imagines the glorious potential of a Game of Thrones/North Pole crossover. Cersei Lannister has nothing on Santa. 2. A sweatshirt with a Scrooge-y message for all your fans. 3. A Christmas sweatshirt that reminds us what this season is really about, and that's T. rex Santa Godzilla shooting lightning out of its mouth while comets rain down from the skies. 4. A sweater with Stormtroopers firing Christmas cheer lasers out of candy-cane guns. 5. A sweater that gives it up for the guy who made it all possible. 6. The next best thing to a partridge in a pear tree - a cockatiel (?) in a frame wreath. 7. This Chanukah tuxedo T-shirt eyesore. 8. A sweater vest. Extra points for sweater vests. 9. A Fair Isle knit that beautifully illustrates the origins of this sacred holiday. 10. 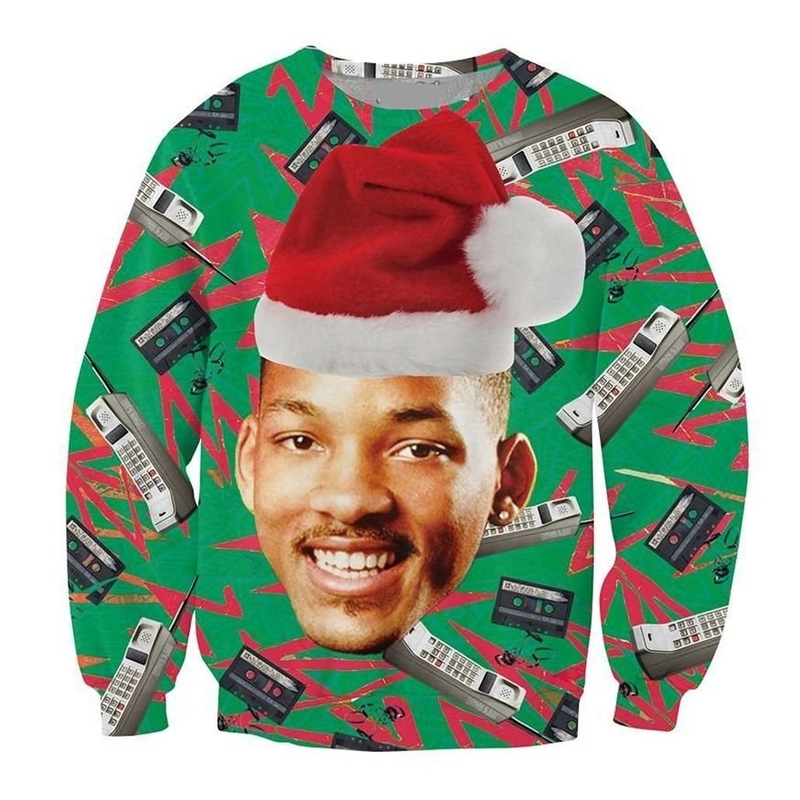 These Christmas pullovers that keep it Fresh. 11. A sweater that sees Santa in a new light. 12. This festive number with everyone's favorite photo-bombing Christmas sloth. 13. An ode to the ugliest creature of all—the humble tardigrade. 14. A Christmas sweater that's pretttttty dark, you guys! 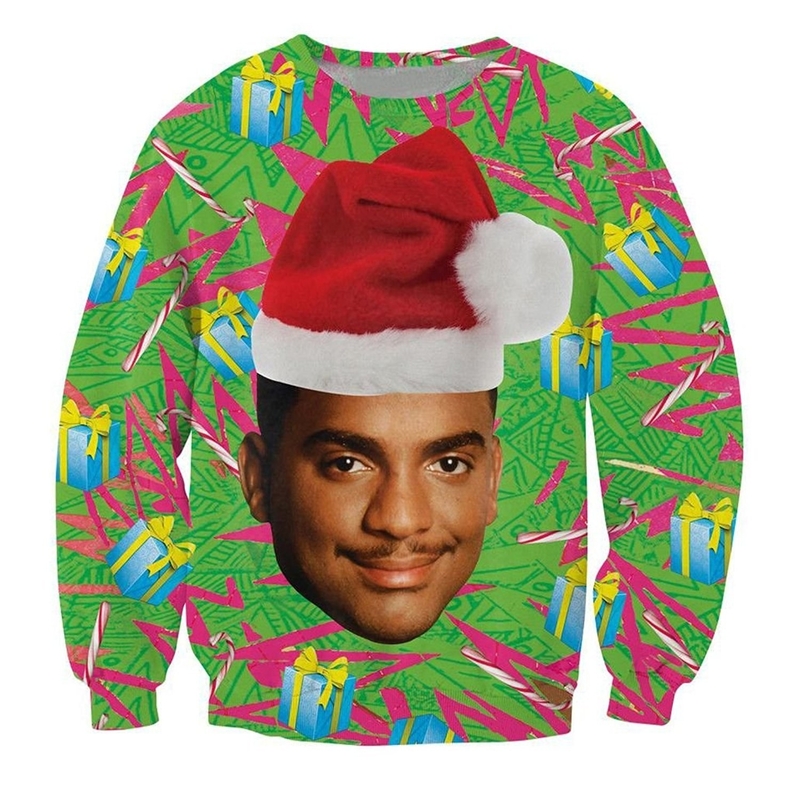 Promising review: "Funny sweater with a great concept! Run before you get picked up and eaten." —Love a deal! 15. A Christmas knit with an alternative ending. 16. A sweater for believers. 17. A sweater for people who do Crossfit. 18. A sweater that's simple, yet elegant. 20. This gift to mankind. 21. This is just, you know, cats burning up presents with the lasers coming from their eyes. Promising review: "You can't go wrong. I mean, it's cats burning up presents with the lasers coming from their eyes." —Andi D.
22. And a sweater for anyone celebrating the season in warmer climes.